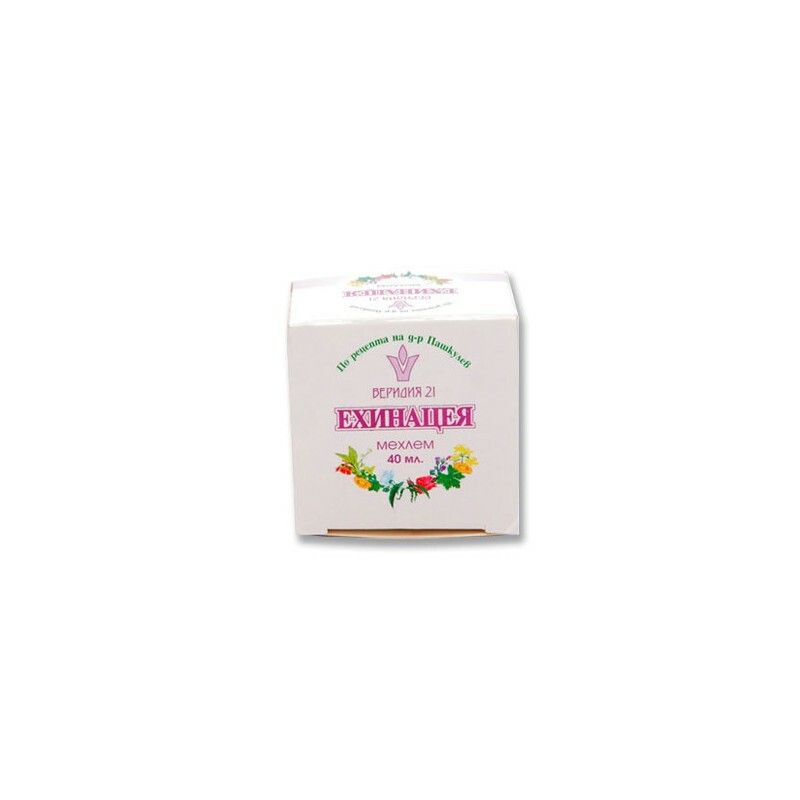 Echinacea herbal cream is recommended in fresh and old (including pus) wounds and abscesses, burns, herpes, hordeolum eye and others. • inflamed hemorrhoids, cracks, fistulas and others. 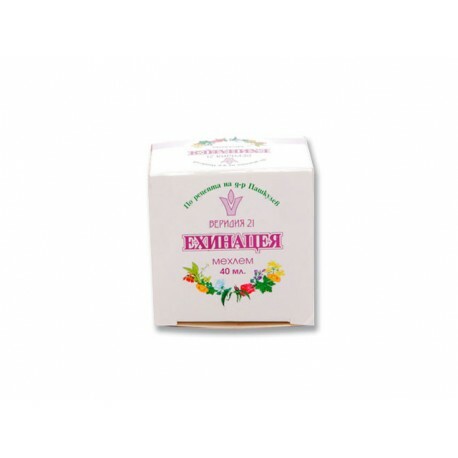 • healing of varicose veins and varicose ulcers. • after an insect sting. glycosides (echinacoside), flavonoids, phytosterols, terpenoids with essential oil, fatty acids, vitamins and other. The affected skin surfaces are treated by gently spreading the ointment 1-3 times a day. Whitened areas not washed or wiped clean for at least 1 hour.